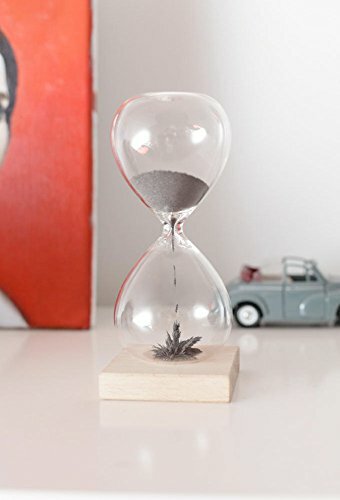 Magnetic Hourglass - Moar Stuff - You don't need it but you know you want it. 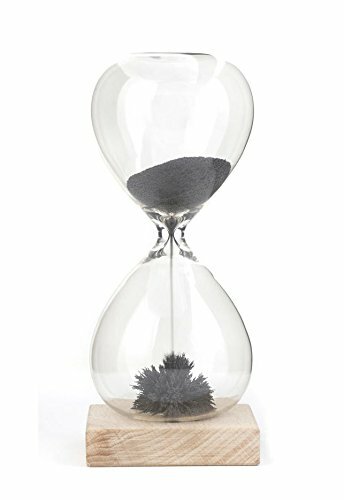 This Magnetic Hourglass is useful and fascinating at the same time. 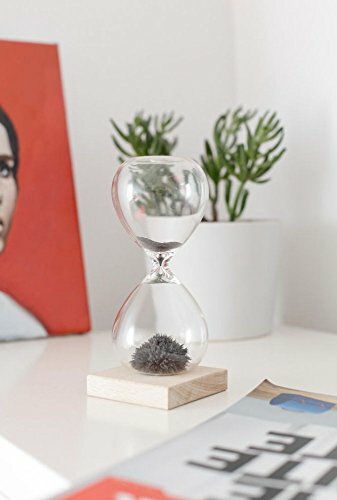 It uses ferrous sand and a magnet hidden in the wooden base to not only keep time but also create continuously-changing, magnetic sculptures as it does so. 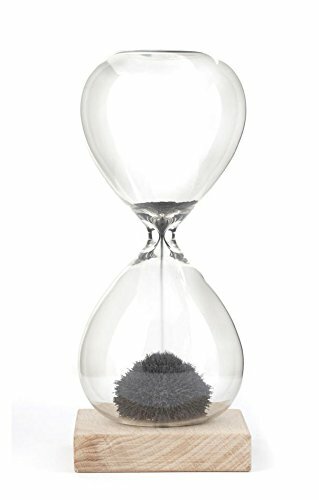 The hourglass takes approximately one minute to empty the sand from the top. Once it’s done, just flip it over to start again. As the sand piles up on the bottom you can watch beautiful stalagmites form as the seconds pass by. It’s fascinating to watch and you’ll find yourself flipping it over again and again. 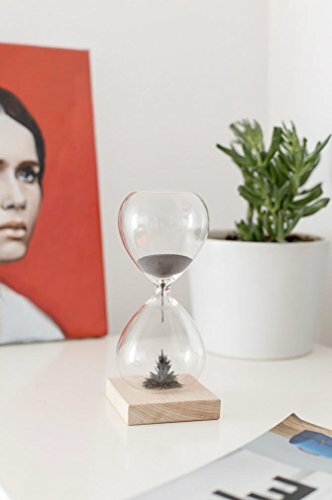 Away from the magnetic base, the hourglass works just like any other you may have seen. Dimensions: 6.5 x 2.8 x 2.8 inches.